Charles Earle Miller, the son of a successful Indianapolis piano maker, grew up as a privately tutored lad who spoke multiple languages (including Esperanto), and would delight in English wordplay throughout his life, including as a part of his eventual on-stage persona. As a young boy he became obsessed with magic, and although educated and trained as a watchmaker (providing fine mechanical skills that would serve him throughout his path in magic), magic would be the guiding thread of his unusual life. Vernon took Miller under his wing, and Miller came to share Vernon’s fascination with the techniques of professional card cheats. The two famously traveled together for a portion of Vernon’s pursuit of the Center Deal, an allegedly mythical cheating sleight that Vernon eventually succeeded in tracking down, along with its originator, Allen Kennedy (as recounted in The Magician and the Cardsharp, a fabulous read for the general public by journalist Karl Johnson). Miller would also come to share Vernon’s passion for his favorite and influential book (mentioned in Take Two #52), The Expert at the Card Table by S.W. Erdnase, and Miller would eventually be renowned among his circle for being able to execute literally every sleight in Erdnase to perfection, no matter how esoteric or challenging. 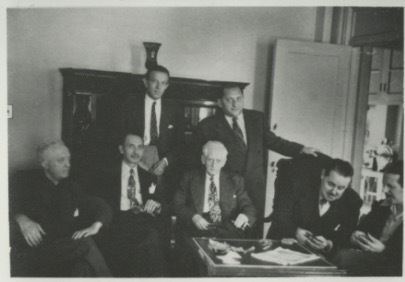 Vernon had sometimes associated with the underworld of the card cheat, and at a later period Miller himself would become deeply expert and knowledgeable in the hustler’s world, at times even being sought out for private lessons in the kind of real-world gambler’s sleight-of-hand at which he excelled. As Johnny Thompson has commented, “A lot of [Miller’s] card work came out of the gambling world. In fact, some of the material that’s around from the gambling world was introduced to magic by Charlie Miller.” Some of those items[ii] would appear in Expert Card Technique by Jean Hugard and Frederick Braue, one of the most important and influential books of card conjuring of the 20th century. 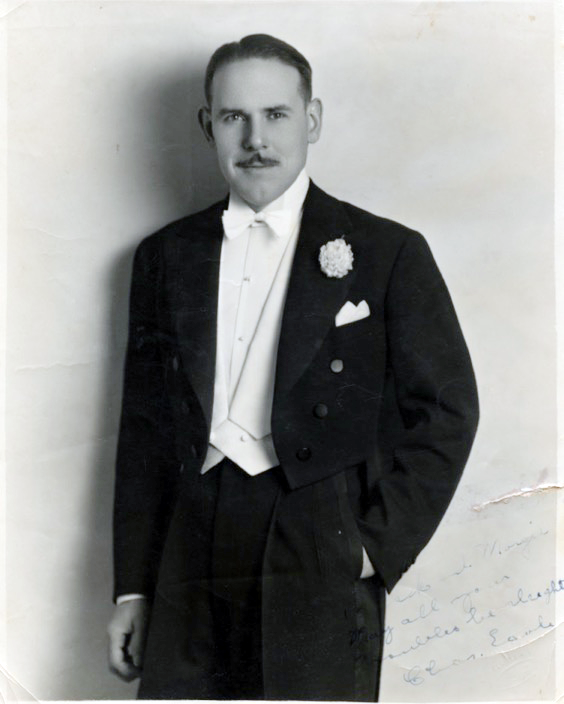 In addition to Ross’s significant influence, drawn from extensive correspondence as well as personal encounters, Miller’s stage magic tastes and performance style owed a direct line of influence to the legendary magician, Max Malini. Malini was a sui generis character and performer in the early 20th century, who performed in unconventional venues including in private homes, in self-produced hotel shows, and as an invited guest of European royalty and American presidents, featuring small magic that was effective larger settings because of his outsized personality. Malini is a revered character in the annals of magic, thanks largely to the book, Malini and His Magic, written by Vernon amanuensis Lewis Ganson, but based almost entirely on material and accounts provided by Vernon. While Vernon knew and revered Malini, the two were not actually close, having fallen out over a dispute over Vernon’s performance of a Malini routine in a public venue where Malini was performing nearby. Malini was also famously secretive, and one of the few colleagues with whom he shared his secrets would be Charlie Miller; some of the methods in the Vernon book are pure speculation since Vernon lacked the firsthand knowledge that Miller possessed. By the time I had the privilege of spending a bit of time with Miller, in his last years in Los Angeles, I found a charming, sweet, man, with whom to sit at the Magic Castle bar, or a late night breakfast, and chat about any of a vast realm of oddities and observations that interested him. Invariably adorned with a gentleman’s purse and a winter scarf around his neck in the midst of Los Angeles’ endless summer weather, he remained a marvelous conversationalist, kind to a fault. Miller profoundly influenced a select Who’s Who of magic, including Harry Riser, John Thompson, Bob White, Persi Diaconis, Ricky Jay, Steve Freeman, and John Carney. But the larger world of magic was and remains largely unaware of Miller’s standing, all the more so now, for a combination of reasons—partly being outshone by Vernon; partly because Miller was secretive about certain aspects of his work, particularly with regard to his gambling knowledge; and partly because he was never an ambitious self-promoter. Harry Riser, when asked to assess what Miller’s “most significant contribution to magic today,” without hesitation offered that the answer was “Preservation. Preservation is one of the major things … he’s the linkage between two different eras.” Yet that assessment may contain a note of unintentional irony, since the state of Miller’s legacy represents two warring schools of thought about weighing the value of legacy versus secrecy. Most of Miller’s closest associates have respected his declared wishes to maintain his desire for secrecy. In the 19th century, the innovative and artistic Viennese card maestro, Johann Nepomuk Hofzinser, similarly wished his papers and secrets to die with him, but thanks to the efforts of students and historians, much of Hofzinser’s work survives, not only for the benefit of the art, its history, and its future practitioners, but also assuring that he receives proper credit due him for his many innovations, rather than mistakenly bestowing such credit on future re-inventors. But some of Charlie Miller’s greatest admirers may, in the name of secrecy, be most responsible for confining their mentor’s name to the margins of magical history. I confess the thought has occurred to me that a few of Miller and Vernon’s students failed to learn the number one lesson their generous mentors exemplified: namely, to pass it on. For the moment, I am pleased to celebrate what I do know of the man so nice he would, by preference, invariably be named thrice when introduced on stage: Charlie Miller, Charlie Miller, Charlie Miller. [i] My thanks to David Ben for clarifying these and other historical details. [iii] For magicians: Thompson reports that Charlie was responsible for all of the material from Jack McMillen; from Jack Merlin; most of the faro shuffle material, the math for which came from a gambler friend of Charlie’s in Indianapolis; and all the contributed material concerning Charlie’s famous mentor, Max Malini. Much of the unattributed material (including two now standard magical techniques) in ECT was also anonymously contributed by Charlie. And unintentionally, a quantity of unattributed items actually came from Dai Vernon, via “sessions” that Miller had with Fred Braue, and that Braue chose to record and publish without Miller’s or Vernon’s knowledge or permission; a fact that was an embarrassment to Charlie when this later came to be known, but for which Vernon entirely forgave him, on the record.) The expanded third edition of ECT contained an additional section of material attributed to Vernon and that helped, if indirectly, to balance the record in this regard). As I have previously and frustratingly noted, at this time in history the work of elder masters and predecessors is often preserved in film and video made very late in their lives, sometimes when they are past their prime. This is true in the case of Dai Vernon, and it’s also true of Charlie Miller. Charlie made several marvelous videos for magicians, produced by Stevens Magic as part of the Greater Magic Video Library series, but while these videos remain highly instructive for magicians, they were done late in Miller’s life and do not represent his technical skills in his prime. He did make several appearances on The Magic Palace that are also shot fairly late in his life, but you can see charming performances of many of his signature routines, drawn from the canon of magical classics. So please: Expand the browser. Turn up the volume. Put aside the smarth phone for the duration of these performances. Ladies and gentlemen, I now present to you: Charlie Miller, Charlie Miller, Charlie Miller! 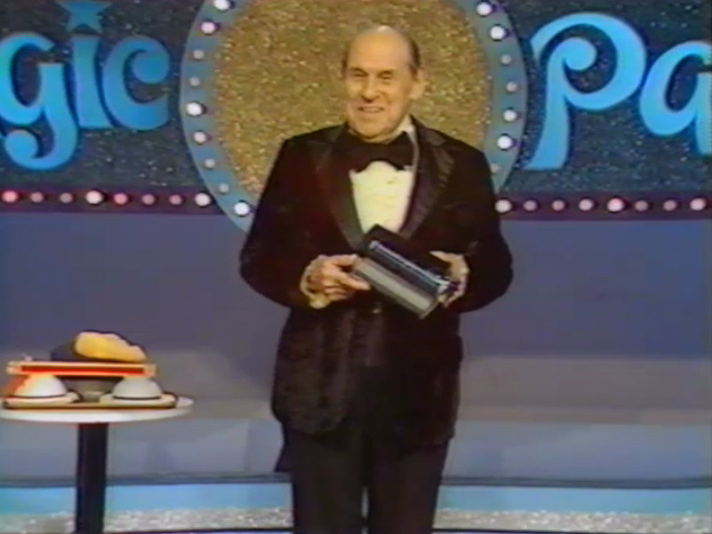 In this appearance Charlie Miller performs several of his favorite routines, including the Magnetic Knives, a pet item of Max Malini’s. This entire performance is delightful. This routine, now a rarely seen classic of small apparatus magic, was a signature piece of Miller’s thanks to his unique whistling presentation. I was fortunate to see Miller perform this on stage and found it utterly winsome. From the documentary, “Ricky Jay: Deceptive Practice,” here Jay reminisces about learning how to practice from Miller, and this segment includes several all-to-brief clips of Miller in action at the card table in his prime. 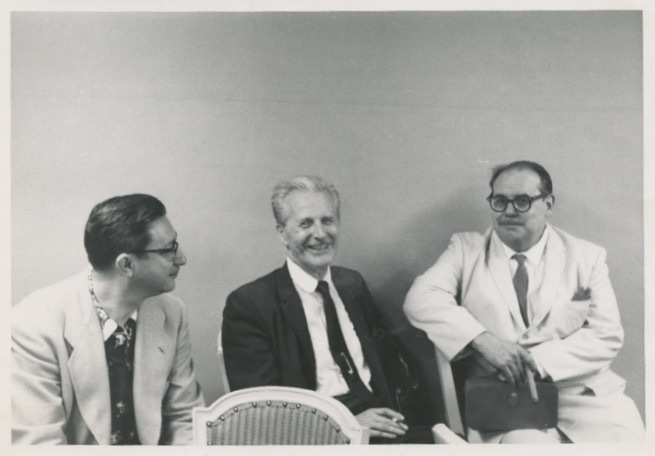 For magicians: Here’s a link to a wonderful 75-minute conversation, hosted on Todd Vickers’ “Magic News Wire” podcast, between three older masters who all shared a common mentor in Charlie Miller, namely John Thompson, Harry Riser, and Bob White. I am fortunate to know all three of these men, and magicians are strongly encouraged to listen to these tales of Charlie Miller told by those who truly knew him.